Worm infestations in cats can lead to some pretty scary health complications. There are plenty of ways for cats to contract parasites. Thankfully there are plenty of ways to treat them. 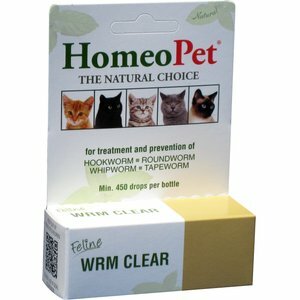 A good cat wormer should be tailored to specifically target the type of worms your cat is dealing with. In many cases, a single active ingredient is enough to tackle two or more worm types. 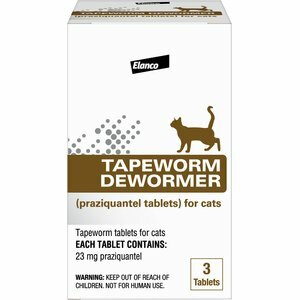 The best cat dewormer is Bayer Tapeworm Dewormer for it’s fast acting, reliable ingredients. 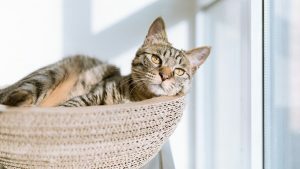 Let’s take a quick look at some of the other over the counter cat dewormers and the worms they’re most effective against. Many question the effectiveness of over the counter cat dewormers. A majority of the products available without prescription contain the same active ingredients. 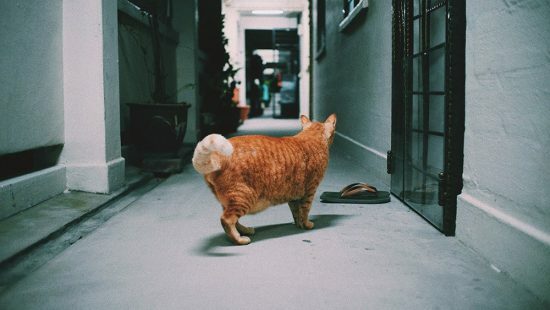 Finding a solution that fits your cat and their infestation is paramount to clearing things up quickly. For serious infestations, a veterinarian recommended cat wormer is irreplaceable despite the expense. 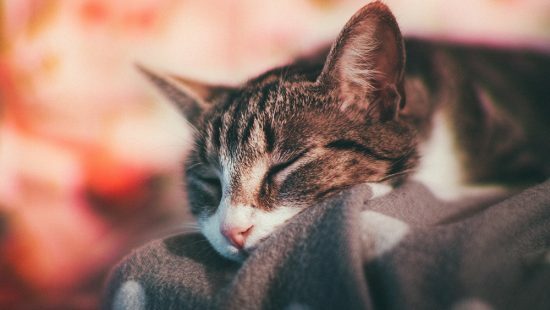 Here are the best cat dewormers for handling mild infestations that are available over the counter. Bayer have long been a trusted brand for helping humans. Not everyone knows they have products designed to help out our feline friends. Bayer Tapeworm Cat Dewormer consistently takes care of the problem within 24 hours. You get three pills in a package, along with instructions on dosage depending on the age and weight of your cat. It has been over two months since the last time I treated my cat for worms. There’s still no sign of re-infestation. The whole process was simple to do. My only advice is to wear long sleeves because if your cat is anything like mine, he won’t like taking his medicine! This product is definitely worth the price because it saves you an expensive trip to the vet. This is the only cat de-worming medicine I will ever buy again. You can’t fault it’s effectiveness! As someone who fosters cats from time to time, I end up getting a lot of fleas in my house. This eventually leads to worm infestations if I’m not careful. There is no way I could afford to take all these cats into the vet each time worms popped up. Thankfully, Bayer Drontal Broad Spectrum Dewormer is available over the counter. A lot of the time the cats and kittens I take in are not in the best health and a tapeworm infection could be deadly. I always keep this product on hand. Because it also deals with Roundworms and Hookworms, it’s a lifesaver! I love the fact that you get 50 pills in a bottle. That the kitten only needs to be one month old and at least 1.5 pounds is excellent, too. I’ve had to treat kittens that would are too small for some other tapeworm medicines for cats. As you can probably imagine, having 5 or 6 cats in the house at once can lead to a pretty stinky litter box situation. Getting and keeping all the cats worm-free has done a lot to improve the odor situation. This product offers a lot of bang for your buck. I was skeptical because of how inexpensive it was, but when it became obvious that my cat had roundworms I decided to give it a shot. I’m really glad I did because it took care of the problem 100%. It is not easy to give a cat liquid medication. My cat, in particular, was very opposed to having it squirted down her throat. A friend recommended putting it in her water, but I am not sure how I would know if she got enough in her. The label says it is tasty, but I’m pretty sure my cat would disagree. One teaspoon does not seem like a lot of liquid until you are trying to get a cat to swallow it. The bottle said to repeat the dose in 14 days if the worms are still present but thankfully that wasn’t the case for us. It is currently in my fridge in case we need to treat her again. The effectiveness of this medication made the brief unpleasantness totally worth it. I recommend it to any friend that mentions they are dealing with roundworms. In my opinion, it is the best over the counter cat dewormer money can buy. This is an absolutely amazing product. 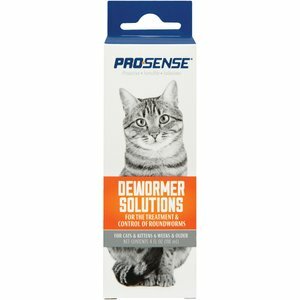 ProSense Liquid Dewormer got the job done for me at an extremely reasonable price. This is definitely an example of getting MORE than what you pay for. I recently got a kitten that the vet diagnosed with roundworms. Rather than use the expensive medicine he prescribed, I decided to do a little research. This product has the same active ingredient (Piperazine Citrate) as the prescription medicine. Yet it’s available as an over the counter dewormer. As far as I’m concerned, this is one of the best dewormers for cats. The absolute best thing about this product was that my kitten wasn’t repulsed by the taste! You can mix it into their food, but I decided to try giving it to her with a syringe and she lapped it up without fuss. I’ve never come across another medication that an animal has actually enjoyed taking. We followed the directions and repeated the dose 14 days later to be on the safe side. The directions say to give every 30 days to prevent re-infestation but I am not sure if I’m going to do that just yet. The instructions do warn that exceeding the recommended dose can cause vomiting. Always remember to be really careful with the dosage. We’ve written about our experiences with Prosense Dewormer Solutions here. This product was designed to do it all, and it delivers. Its the only product I have found so far that treats tapeworms, roundworms, hookworms, and whipworms. It is completely homeopathic and non-toxic. I had some concerns when my pregnant kitty began showing the signs of having tapeworms. It was amazing to find a product that was actually safe to use on pregnant and lactating cats. Unlike most dewormers, this one doesn’t actually kill the worms. Instead, it makes the inside of your cat’s body a place that they can’t live anymore. Its actually a very appealing idea that I am not putting something inside my cat that is meant to kill insects. The only drawback was that it took close to 2 weeks for the problem to be fully resolved. It was worth it though, because I could use it on my cat despite her pregnancy and it was available at an amazing price. I like the fact that she is now protected for 2 months, even if she somehow comes in contact with roundworms again. All in all, I think this is the best cat dewormer out there if your cat is pregnant. Always try to use safe, gentle methods when possible. Unfortunately, intestinal parasites are common in cats throughout the world. Regardless of whether your cat stays indoors or ventures outdoors, you’re likely to have encountered worms in the past. When this happens, you can go to your veterinarian and receive a prescription for a cat wormer. This is the best way to go if the infestation is serious. A mild infestation can often be treated at home with an over the counter product. These infestations typically happen when your cat ingests a flea that is carrying tapeworm eggs. Once in your cat, the latch on to the intestines. During the infestation, your cat is being robbed of nutrients it needs. It can eventually cause them to lose weight and become sickly. Tapeworms are very common when you are dealing with a large amount of fleas in your home. You may see segments of the worm in your cat’s feces. It’s not uncommon to also notice your cat suffering from diarrhea and loss of appetite. These are very common in cats and it’s important to catch and treat them early. Your cat usually gets this type of worm by eating roundworm eggs. The signs of a roundworm infestation include a bloated stomach, loss of appetite, and general weakness. This scary type of parasite is commonly gotten through ingesting eggs. It can also be acquired by walking on soil contaminated with hookworms. Hookworm is shed through feces and can spread from one cat to another through the use of a shared litter box. These are not visible to the eye, and so must be diagnosed by a veterinarian. In the beginning, your cat may get lesions on the bottoms of their feet. You might also notice a loss of appetite, cough, diarrhea, or constipation. Early treatment is critical because hookworms can be fatal. 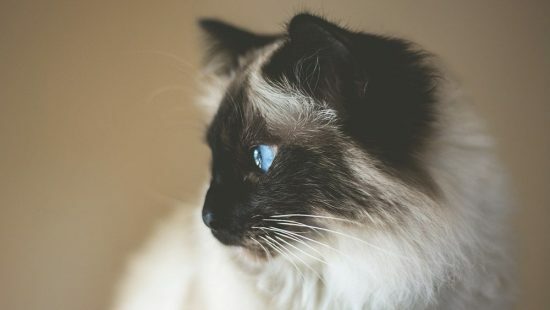 If you are not sure what type of worms your cat has consult with your veterinarian before starting any type of treatment. There are products out there designed to treat all types of worms. They typically have a greater risk of side effects than those targeted at a specific type. You can read more about the types of worms that infect cats here. There are two types of treatments available when you are treating your cat for worms. They are chemical and all-natural. Chemical treatments can either be prescription or over the counter. Some of the best over the counter cat dewormers are as effective as prescription options. Pyrantel pamoate treats both roundworms and hookworms by paralyzing their bodies. Praziquantel is effective against tapeworms, it starves them until they eventually disintegrate. Piperazine works to paralyze roundworms so they can pass through your cat’s body. If you opt for a natural treatment, Diatomaceous earth is the most common choice. It is also used to treat fleas and works by dehydrating the worms. There is some debate around the effectiveness of Diatomaceous earth. Though natural treatments might seem more appealing, they are generally less effective. When shopping for a dewormer, you should keep your cat’s safety in mind. Check out the potential side effects of any medication before giving it. If your cat is sick in any way or older it is best to consult your veterinarian before starting any treatment. Keep in mind that the treatment will only work if you can manage to get your cat to consume it. It may be best to shop for a medication that can be given in their food. A pill-gun is a good investment for getting them to take their medication orally. Almost all medications advise at least one follow up treatment to make sure the worms are gone for good. It’s possible for your cat to have a worm infestation and not show any outward symptoms. This is the primary reason that routine vet visits and preventative measures are key. Keep your kitty indoors. Rodents, birds, and rabbits are all notorious carriers of worms. They are also things your cat is likely to hunt outdoors. It isn’t practical for all cat owners, but for those with young kittens it’s a choice worth debating. Test their feces. This is especially important if you allow your cat to roam outside. Once or twice a year, take a stool sample to your vet so they can test for parasites. This may be the only way to catch them if your cat is not showing symptoms. Use flea prevention. If your cat has fleas long enough, they will inevitably get tapeworms. By using a preventative flea treatment every month, you are protecting your cat from more than fleas. Stay clean. For a variety of reasons, it is important to maintain a clean-living space for your cat. This means regular litter box cleaning, keeping water fresh and washing their bowls daily. Keep your cat healthy. A good diet and overall health can help your cat fight off parasites. 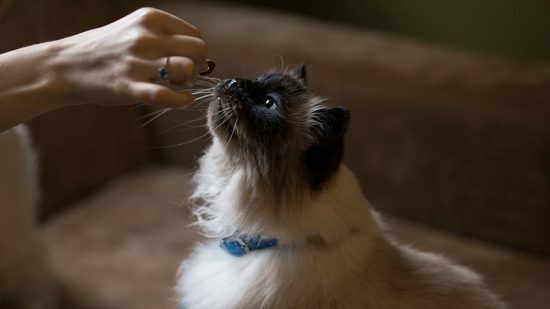 Make sure to feed your cat a high-quality food and talk to your veterinarian about any vitamins or supplements that may help them stay healthy. Keeping your cat worm-free is part of keeping your cat healthy and happy. If preying on your cat wasn’t bad enough, some types of worms can actually spread to humans. All the more reason to keep diligent about prevention and treatment when necessary. A good cat wormer does not necessarily have to come from a prescription. There are a variety of effective over-the-counter remedies on the market. They do require that you know what type of worm you are dealing with and are willing to do a little research. Be sure to consult with your veterinarian if you ever feel unsure about the course of treatment you have selected.